All is still not well. 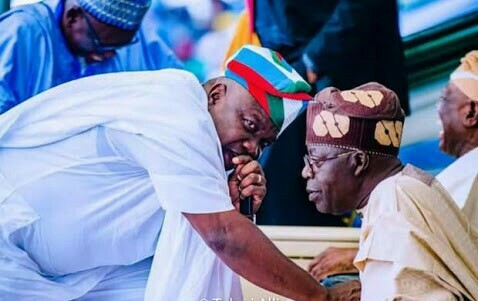 The confusion over the reelection bid of Lagos State Governor, Akinwunmi Ambode, has failed to clear off as the APC national leadership could not secure a firm commitment from its national leader, Asiwaju Bola Tinubu, on governor’s second term ambition. The APC leaders, led by Vice President Yemi Osinbajo and the party’s National Chairman, Adams Oshiomhole, who were said to be acting on the directives of President Muhammadu Buhari, met with Tinubu again to prevail on him to “forgive” Ambode his alleged infractions and back the governor to secure a second term. But what are the ‘sins’ committed by Ambode? A source close to the national secretariat of the party, however, told The Punch that the effort of the leaders could not be said to have resolved the situation as Tinubu did not give Osinbajo and Oshiomhole any specific promise of supporting Ambode for a second term. 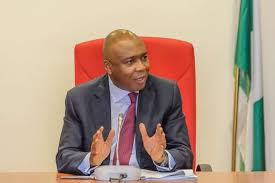 The source stated, “The President asked the vice-president and the national chairman to resolve the crisis amicably so that the governor could get a second term. Osinbajo met Tinubu twice in Abuja on Friday on Ambode’s matter, where he relayed the President’s message and the need to keep Lagos for the APC. He also told Asiwaju the President would not want the crisis to affect the party in the 2019 general elections. “The National Leader however maintained that there would be wider consultations back home before he would be able to accede to the request. He said the governor’s matter is beyond him alone. It was gathered that Buhari’s foremost concern was that the crisis in Lagos, which boasts of the highest number of registered voters, if not well-managed, could affect his political calculations for his second term bid. The Punch gathered that as the APC leaders battled to save the embattled governor’s second term ambition, Ambode landed in Tinubu’s house in Abuja, where the governor appealed to the former Lagos State governor to forgive him his alleged offences. Another very reliable party source said, “Yes, it was part of the efforts we are making from this end to save the party from crisis in the state and the nation. The governor came to beg Tinubu in his residence in Abuja to forgive him. I think the appeal helped to reduce the tension and soften the ground for the governor. It is, however, difficult to say if that had ended the crisis. Source in the camp of the Lagos ex-governor, who spoke to The Punch, confirmed the meeting between Tinubu and his political godson in Abuja. “Yes, the meeting held. He (Ambode) saw Asiwaju in Abuja but I cannot give you any detail,” he said. It was learnt that Tinubu returned to Lagos on Saturday as preparations for the rally and formal declaration of an APC governorship aspirant in the state, Mr. Jide Sanwo-Olu, were being concluded. The organisers of the rally, billed for City Hall, Lagos Island, on Sunday, said it will have top APC politicians in attendance. “Those to attend the rally are the leaders from the ward to the state level; the state and federal legislators and party chiefs,” a source said. One of the aides of Tinubu confirmed that the rally would still go ahead. Davido reveals what happened to Chioma’s Assurance Porsche!